We make every effort to keep our prices as the most competitive available but should you find any equivalent item/package cheaper elsewhere we will beat the lower price. Simply email us the quotation that you have been given or send us a link to the lower priced item and we will contact you to confirm your order. You can pay by any Visa, MasterCard, Delta, Switch, Solo or JCB card. To ensure that shopping on-line is secure, your credit/debit details will be encrypted. For more details please contact us. The prices displayed on our web site are in British pounds. We currently debit money from your account the same day that your order is accepted and processed. Instant credit accounts are available to public sector organisations only (Schools, Colleges, NHS, Local Councils etc). Please contact us to discuss your requirements. 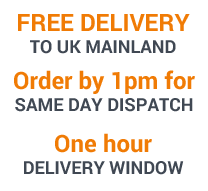 We ordinarily deliver goods to mainland UK destinations. For delivery outside this area, please contact us. We aim to deliver goods to mainland UK destinations within 3 working days in most circumstances. Specific delivery times are dependent on the item ordered. Most orders sent will require a signature on receipt. Please ensure that someone is present at the delivery address to sign for the order. If there is not somebody present at the time of delivery, the courier company will leave their contact details so you can arrange another delivery time. We will make every effort to deliver within the time stated on our website but we will not be liable for any loss caused to you by late delivery. If the goods are not delivered within the delivery time which we quote for that item, please contact us by email or telephone. We will try and ensure that you receive your order, as quickly as possible, or if you wish you may cancel your order and we will refund you any money which you have paid. We endeavour to supply only the highest quality products and believe you will be delighted with your products from ZipWireShop. However, if you are unhappy with the product in anyway you may ask for a full refund of the product less the cost of the return carriage, or exchange them within 7 days of receipt. You will then need to return the goods following the steps outlined below. We aim to keep the process as simple as possible. The product must be returned in its original condition. You must arrange for the return of the goods, and you will be liable for the costs involved, unless the product is faulty. This charge also applies if you ask for an exchange. If this happens, please contact us first to arrange the return. We are not able to provide refunds on items that are made to measure unless they are faulty. Our Customer Service team will be happy to help you if you have any queries or require any further information. You can email us at info@zipwireshop.com or telephone us on 0800 788 0550. We may change or withdraw any part of our website, or may refuse you access to the website at any time if we consider it necessary. These terms are governed by the laws of England and Wales and any disputes will be decided only by the courts of England and Wales. Zip Wire Shop, is committed to protecting your personal information in accordance with the Data Protection Act 1998 and the EU General Data Protection Regulation (GDPR). This policy covers how Zip Wire Shop uses and protects any information that you provide when using the website www.gascageshop.co.uk or any of its services. 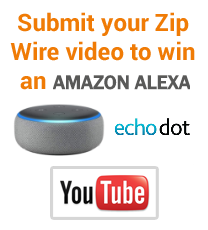 Zip Wire Shop is the data controller for any personal information you supply in relation to its services and when registering as a client or candidate. Zip Wire Shop may store your personal details, including but not limited to your name and contact details, together with your e-mail address. Your personal details will be sent to us through via our website when placing an order with us. This does not include any provided financial information. Your data is only used to process any orders that you have placed with Zip Wire Shop. How long and where do we keep your data? Zip Wire Shop will only keep your personal data for as long as it is needed in order to use it as described above in providing the service and/or for as long as you have given permission to keep it. Sometimes your personal data must be kept beyond the duration of the provision of the service in order to meet statutory requirements for accountancy practice. Your data will be stored in the UK. The right of access to your personal data and supplementary information. Where the personal data was unlawfully processed (ie otherwise in breach of the GDPR). When personal data has to be erased in order to comply with a legal obligation. When the personal data is processed in relation to the offer of information society services to a child. Should you wish to exercise any of your rights or in the event of a complaint please contact The Data Protection Officer at Zip Wire Shop in writing. We are committed to ensuring that your information is secure. In order to prevent unauthorised access or disclosure, we have put in place suitable physical, electronic and managerial procedures to safeguard and secure the information we collect. Our services are all hosted from a datacentre within the EEA which is ISO27001 certified. We undertake regular vulnerability scans of our website and services to ensure your data is safe.